An ounce of prevention is worth a pound of cure. 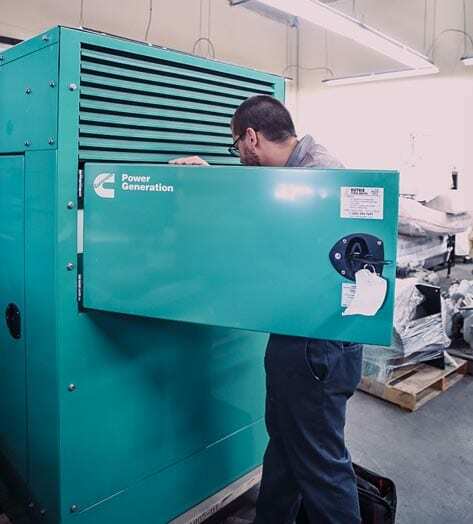 Duthie Power offers generator repair services so that you know you can rely on it whenever there is an emergency or power outage. We work with all makes and models of generators and other necessary power equipment. 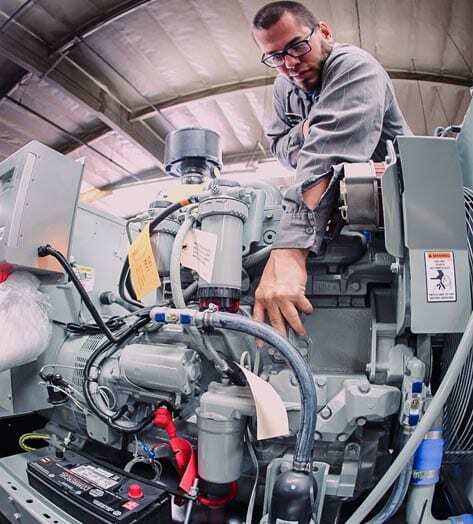 Our customer focused service department offers generator maintenance services to a wide range of power equipment that includes: Generators, Automatic Transfer Switches, Fire Pumps, Mobile RV Generators, Marine Generators, Fuel Delivery and Fuel Polishing. Why Choose Duthie? Watch our Video! 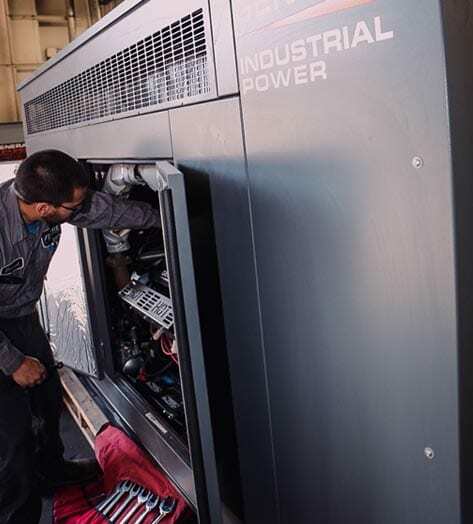 Our field technicians can restore generators and diesel fire pump engines to OEM specifications. We also overhaul generator control panels and switchgear. Entire Emergency Power Supply System’s, including Automatic Transfer Switches and other emergency power equipment. Our number one goal is to keep you up and running when a power emergency may arise. Our union field technicians do not work on commission and will only recommend repairs or replacements that are in your best interests. Their job is to keep you compliant with the regulations and keep your equipment running. If you need additional services or parts, our home office will provide a quote before any additional work is started. 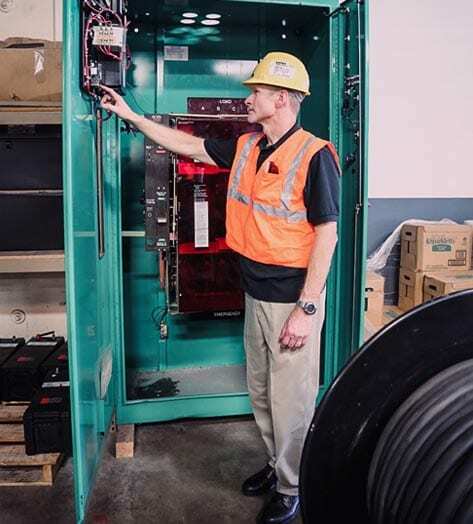 Full comprehensive preventative maintenance including contact cleaning, lubrication, calibration and testing of all makes of automatic and manual transfer switches. If the generator in your RV needs service we will come to you! We service and repair all makes & models of RV gasoline and LP generators via our multi point inspection process. Delivery of diesel/propane direct to work sites. Plus fuel polishing/tank cleaning for diesel tanks to eliminate contaminants. We pump the fuel into a storage tank, clean and then refill. We specialize in preventative maintenance; diagnostics and services on all makes & models of diesel fire pumps. Complete service and repair capabilities for all types of systems. We work with all makes and models of generators / power equipment. CARB [California Air Resources Board]. We can help you avoid costly fines and the aggravation of dealing with a regulator. 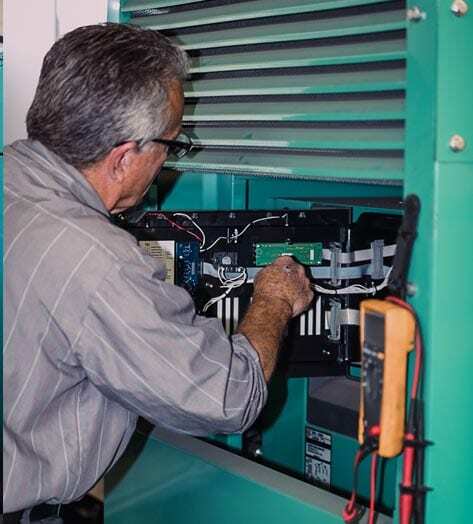 Most generators fail because they simply haven’t been maintained properly. 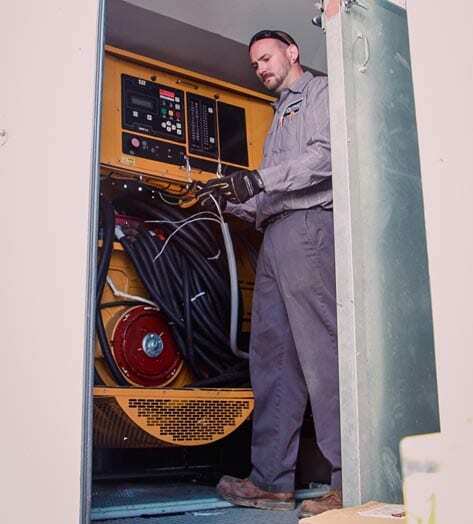 Duthie Power offers regularly scheduled maintenance services, so you’ll know your generator will fire up when you need it. 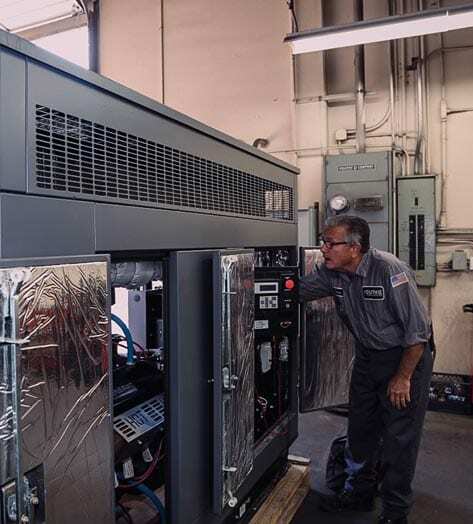 Our highly-qualified technicians perform a comprehensive, 32-point inspection of your emergency power supply system [EPSS] following strict regulatory guidelines. Of course, we can do any vital repairs or maintenance while we’re there. 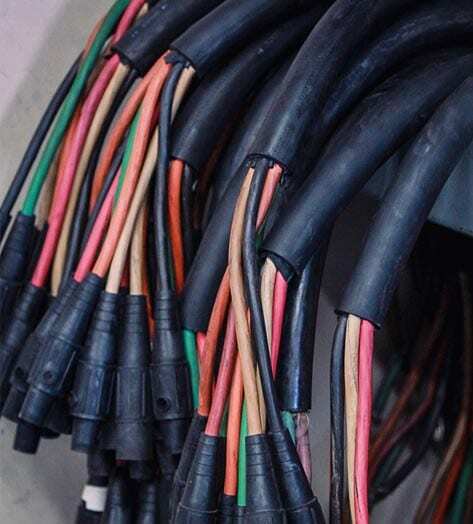 Our inspection covers all the systems of the EPSS: fuel, exhaust and filtration, lubrication, cooling, battery, generator, generator controls, transfer switches, remote monitoring [if applicable] and safety systems. Build a plan to meet your specific needs. 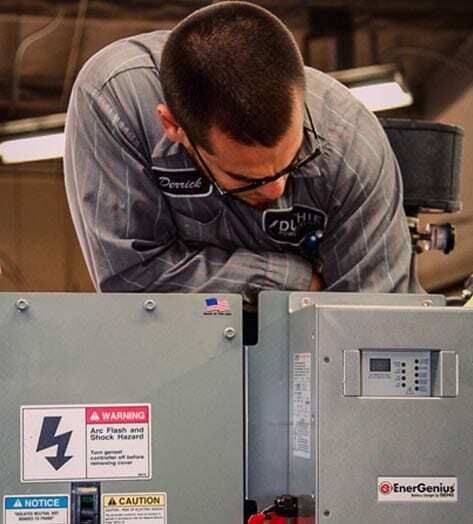 Regular service to your generator will safeguard your ability to have emergency power when you need it, but we also realize many of our customers do not want to sign an agreement for service. We do not require a signed agreement or contract to make sure your equipment is properly maintained. 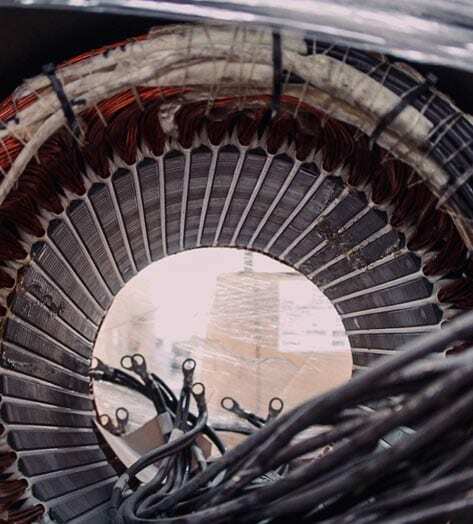 We will automatically add you to our schedule maintenance notifications that will save you money, extend the life of your equipment, protect against the high cost of power failure, and keep you in compliance with all regulatory requirements. Of course, if your safety protocol demands a service agreement be in place, we can tailor an agreement to fit your needs. Our field technicians and vehicles are well-equipped for most situations and have immediate access to our extensive parts warehouse. We guarantee a 15-minute telephone response with a typical 2-hour on-site arrival (depending on location) – 24 hours a day, 365 days a year.